In the second part of a two-part feature, Matt details the five biggest news stories of 2013. Yesterday we gave a quick rundown of the year's news events, then began our countdown of the nine biggest news stories of the year. Today, we round off that list with the top five. THQ’s troubles were many and well-documented, but even so, the January announcement that it would be closing was somewhat surprising. Attempts by THQ president Jason Rubin to keep the publisher whole had failed, and all of THQ’s gaming properties, studios, and assets were sold piecemeal in two high-profile auctions. The first saw Crytek acquire the rights to Homefront; Koch Media acquire Metro and Saints Row studio Volition; and Ubisoft acquire THQ Montreal, two new IPs (1666 and Underdog), and the publishing rights to South Park: The Stick of Truth. Sega scooped up Relic Entertainment, while Take-Two Interactive grabbed the publishing rights to Evolve and later on, the WWE license and a few wrestling-minded employees. Darksiders developer Vigil Games appeared to be out in the cold, but Crytek soon hired 35 of its staff to work out of a new studio in Austin, Texas. 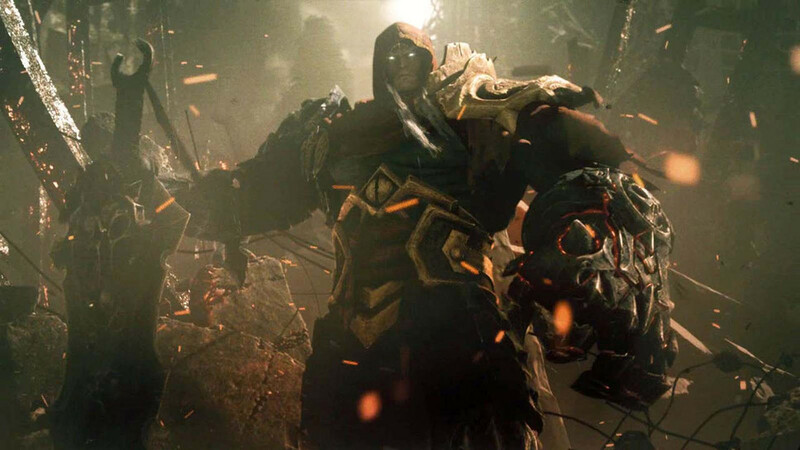 However, Darksiders III was not on the cards: “That doesn’t fit with our strategy,” said Crytek CEO Cevat Yerli. The second auction saw Gearbox Software nab the Homeworld franchise, outbidding a group which had successfully crowdfunded a sequel without the rights to the game. Then, surprise bids from Sweden-based Nordic Games saw it garner Darksiders, Red Faction, MX vs ATV, Destroy All Humans!, Full Spectrum Warrior, Titan Quest, and more. And just like that it was all over, save for some paperwork. The 24-year-old California-based developer and publisher, a fixture in the now-evaporated middle market, officially ceased to exist. EA’s SimCity problems were as much to do with the company’s dismal communication as anything else. 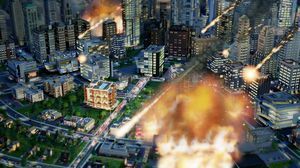 In the wake of Diablo III’s troubled 2012 launch, Maxis general manager Lucy Bradshaw infamously claimed that SimCity’s always-online requirement actually gave players a choice in terms of how they could play the game. It was an astounding statement, the kind of bizarro-world logic usually found wafting from politicians rather than game studio bosses. Still, other noises from Bradshaw were more soothing: EA was investing heavily in infrastructure to make sure SimCity’s launch would be as flawless as those of Battlefield 3 and Star Wars: The Old Republic. “I don’t want people to have to tolerate bad connection or downtime,” she said. What followed seems inevitable now. 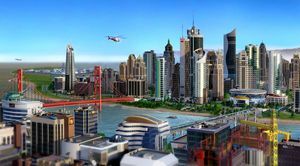 At launch, SimCity’s servers immediately buckled, leaving many around the world unable to even download or install the game, let alone join a lengthy queue in order to play. EA cited overwhelming demand as the problem, and just how much trouble it was in quickly became apparent when it was forced to disable non-crucial functions within the game just to allow more players in. This was bad, but the publisher found a way to make things worse. SimCity was obviously built around the concept of region play, and few would argue that DRM was EA’s sole motivation for taking it online. However, Bradshaw’s claims that offline play was impossible were contradicted by one of the game’s designers, who claimed an offline mode was possible “with minimal effort”. That statement was soon proved true by modders, and made EA Labels president Frank Gibeau’s affirmation that SimCity was “basically an MMO” seem pretty silly. EA also reneged on refunds, obviously hoping to ride out the wave of negative sentiment until things were up and running. Admirably, Amazon immediately pulled the title from its virtual shelves, as EA went full damage control, suspending the game's marketing. The publisher did eventually offer players an olive branch in the form of a free game, but for many, the damage was done. A company that certainly didn't need a worse reputation had found one. Defeated, Bradshaw admitted that the game's low scores thanks to server problems were fair. There was an upside: despite all these dramas, SimCity reached a million sales faster than any game in the franchise. However, July saw three senior Maxis staff leave to form their own studio. "I was dismayed at the blundered launch of something that I had poured so much love and attention into," said creative director Ocean Quigley. Finally, in seven months after the game's nightmare start, EA announced that it was looking into implementing an offline mode. Games that don’t meet player expectations are released all the time, but few provoke the ire that Aliens: Colonial Marines did upon its February launch. The trouble wasn’t just that the game was poorly constructed, it was that it had looked substantially better in trade show demos. In fact, many features in those demos had seemingly been excised completely. Gamers despairing over the poor treatment of the Aliens IP felt misled, and it seemed strange that Borderlands studio Gearbox Software had fumbled things so badly. In hindsight, that it took a petition to get female characters into an Aliens tie-in was a pretty clear signal that the IP wasn’t being handled with particular care. The moment the negative reviews hit, rumours of skullduggery began. 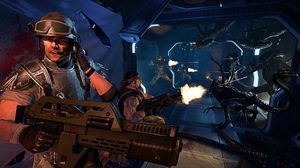 A former Gearbox employee called the game’s development a “train wreck”, and claimed that the majority of Colonial Marines had been outsourced to Section 8 studio TimeGate. This was denied by Sega and Pitchford, although both admitted other studios were involved to an extent. Whatever the case, TimeGate soon filed for Chapter 11 bankruptcy protection, owing between US$10 million and US$50 million to up to 50 creditors. A day later, stories circulated that the threat of legal action from Sega was what had pushed Colonial Marines out the door before it was properly ready. The rumour's source also claimed that the game was frequently shelved in favour of other projects such as Borderlands and Duke Nukem Forever, and that each time development was resumed, a major content overhaul would take place. 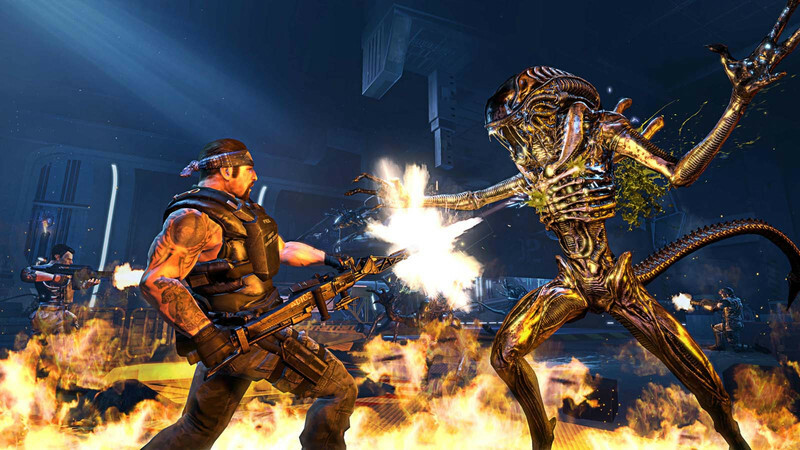 It wasn't long before Sega cancelled the Wii U version of Colonial Marines. Then, following a complaint made to the United Kingdom’s Advertising Standards Authority, the publisher admitted that the trailers for the game had not accurately reflected its (low) quality. A class action lawsuit sprang up Stateside, accusing Sega and Gearbox of misleading the public by claiming trade show demos were actual gameplay when they weren't. Gearbox called the ongoing lawsuit “beyond meritless”. Finally, just when it looked like the story was fading, Colonial Marines voice actor Michael Biehn (Rex ‘Power’ Colt in Far Cry 3: Blood Dragon) called the game’s development “passionless”. “They think that because they have a brand name they’re going to get a hit game or hit movie out of it. That certainly was the situation on [Aliens: Colonial Marines],” he said. In November, the Aliens rumour mill sprang back into life: Total War studio The Creative Assembly was developing an Aliens-universe first-person shooter involving Ripley's daughter called Alien: Isolation. God help us all. 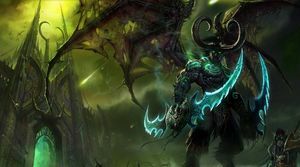 On December 10, files provided to The Guardian by computer analyst whistleblower Edward Snowden revealed that security agencies in the US and UK were involved in the monitoring of online games and networks, including World of Warcraft and Xbox Live. 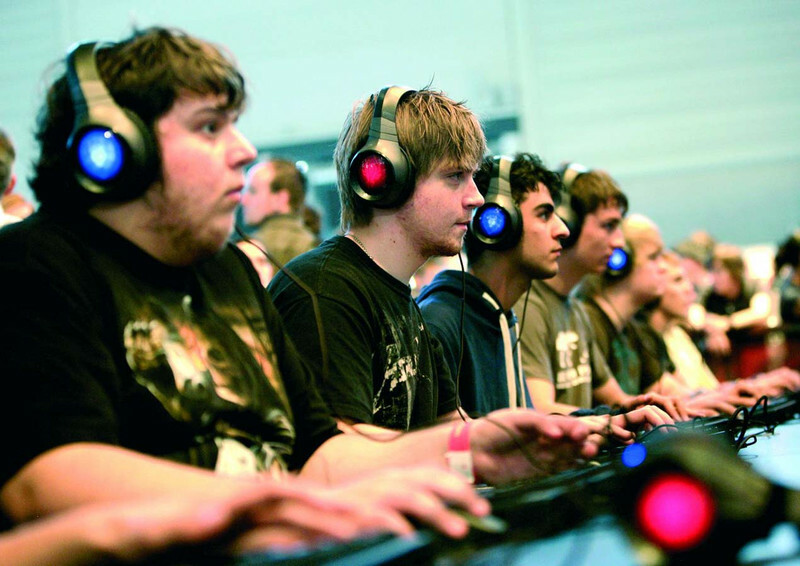 mass-collection capabilities into Xbox Live, and sent agents into games such as World of Warcraft and Second Life to recruit informants and thwart terrorism. The data collected by the NSA and GCHQ included biometric data provided via Kinect, email addresses, messages, IP addresses, and recordings of voice chat channels. According to the paper’s briefing notes, so many different US intelligence agents were conducting operations inside games that a "deconfliction" group was required to ensure they weren't spying on each other. No acts of terrorism had been prevented by the monitoring, nor had any criminals been apprehended. These revelations were stunning, yet – depressingly enough – not entirely unexpected. Documents obtained by The Guardian earlier in the year showed that the NSA had "direct access" to the systems of Google, Facebook, Apple, Yahoo, and other US internet giants via its Prism program. The documents also showed that Microsoft had collaborated closely with the NSA to allow users' communications to be intercepted, and even helped the NSA circumvent its own encryptions. The tech giant claimed customer data was only provided to the NSA “in response to government demands, and we only ever comply with orders for requests about specific accounts or identifiers". Understandably, the company's always-on Kinect policy was now being eyed with deep suspicion. Microsoft's eventual reaction was to go on the offensive. 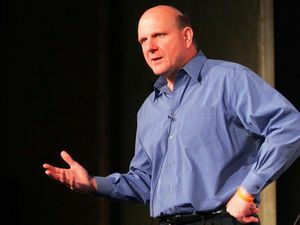 In November, at his final shareholder meeting as Microsoft CEO, Steve Ballmer attempted to assuage the public’s fears. The next month, Microsoft senior executive Brad Smith went one step further, calling government snooping an "advanced, persistent threat". “Like many others, we are especially alarmed by recent allegations in the press of a broader and concerted effort by some governments to circumvent online security measures – and in our view, legal processes and protections – in order to surreptitiously collect private customer data,” he said, promising increased encryption and legal protections for Microsoft customer data. After news of the spying broke, Microsoft joined Google, Apple, Facebook, Twitter, Yahoo, AOL, and LinkedIn in a lobby group designed to pressure both the US and UK governments into surveillance law reform. "We urge the US to take the lead and make reforms that ensure that government surveillance efforts are clearly restricted by law, proportionate to the risks, transparent, and subject to independent oversight," it said. Somewhere, an shadowy figure cackled, and stroked a black cat. Any excuse to bust out this picture. “We’re going to come out with detail on things, and people are going to go ‘Oh my god’.” So said former Microsoft president of interactive entertainment Don Mattrick prior to the Xbox One's unveiling, and boy was he right. It's tempting to ascribe the outrage levelled at Microsoft to its E3 always-online confirmation alone, but in truth the fuse had been lit much earlier on. In April, when rumours of always-online consoles and patents for various DRM devices were surfacing, Microsoft Game Studios creative director Adam Orth tweeted that those opposed to always-online functionality needed to "#dealwithit", and "get with the times and get the internet. It's awesome." Orth left Microsoft less than a week later, but Microsoft's real problem was already obvious: its messaging. This was never more obvious than at the Xbox One's May reveal, when the company's top brass was incapable of giving a straight answer to even the simplest questions regarding its newest console. Did it need to be always connected to the Internet? Could games be borrowed and played freely? No-one at Microsoft seemed to know. 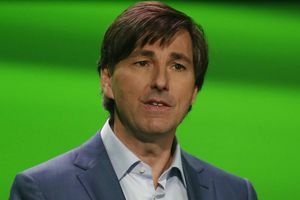 A month later, Mattrick took the stage at E3 and announced what can charitably be described as a brash series of policies regarding the console's Internet and Kinect connectivity, treatment of second-hand games, and indie publishing support. The gaming world exploded with a fury of typical intensity, but on a scale not often seen. Well on the back foot, those old instincts kicked in: "we have a product for people who aren’t able to get some form of connectivity, it’s called Xbox 360," Mattrick offered. Just eight days later, Microsoft dropped the Xbox One's online checks and its sharing restrictions. In the months that followed, it would waive title update fees and the Xbox One's Kinect requirement, and allow indies to self-publish on Xbox Live. 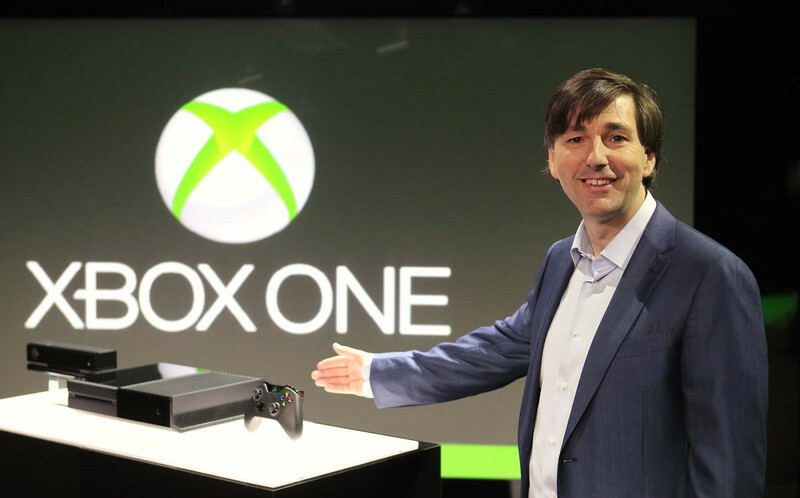 "Thank you for your assistance in helping us to reshape the future of Xbox One," said Mattrick. A mere 12 days later, he took a job as CEO at struggling social game giant Zynga. Microsoft’s dramatic reversal on its initial vision for the Xbox One was not only the biggest story of the year, it’s a capitulation that will be remembered for many years to come.